We're happy to be one of Richland's only Dalyn rug dealers! Benjamin’s Carpet One in Kennewick is your one-stop-shop when it comes to area rugs. 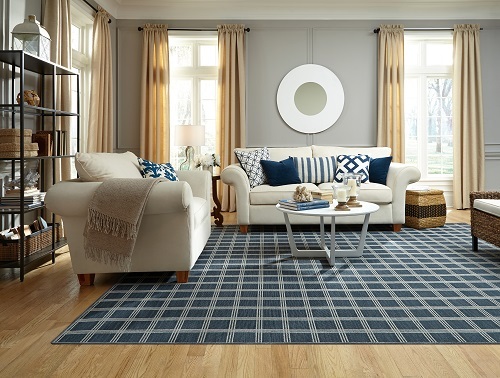 We offer one of the area’s best selections, including new styles of Dalyn rugs. Dalyn is one of the most popular area rug manufacturers, as it offers a wide selection of any type of rug imaginable. Dalyn has a great selection of high-quality, hand-tufted area rugs that can fit into almost every home setting. We have a few of these rugs on display in our showroom, but we can also special order any rug that Dalyn manufactures. So, whether you want a wool rug or a nylon rug, we have you covered. Dalyn is the largest custom area rug manufacturer in the world, so its custom rug program is very popular. As part of the program, you can choose from different designs, sizes, shapes, and so on. If you’re looking for a custom area rug, be sure to visit our store to learn more about the program.